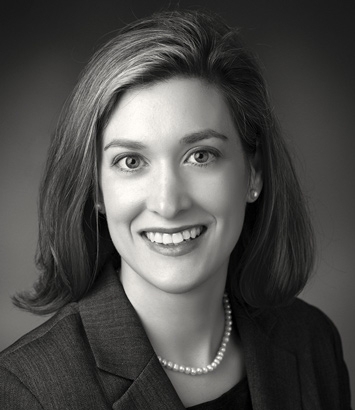 Ellen Arvin Kennedy is a bankruptcy attorney in Dinsmore's Lexington office. Ellen focuses her practice on litigating and mediating high-stakes matters in federal, state and bankruptcy courts, and employs a practical, measured approach to helping her clients reach resolutions. She has experience handling commercial bankruptcy, insolvency and creditors’ rights matters for clients, including advising Chapter 11 and liquidating trustees and both creditors and debtors in complex liquidations and corporate wind-downs. Her knowledge of bankruptcy law and her ability to tailor her approach to fit each client’s circumstances allows her to offer counsel at every step of the bankruptcy and restructuring process, including proactive counsel. Ellen also leverages her knowledge of corporate law to guide investment groups through the purchase, reorganization and sale of companies and distressed assets in a variety of industries, such as coal, oil and gas, health care, education and manufacturing. She provides restructuring assistance to clients looking for out-of-court resolutions, and handles foreclosures, complex collection actions and litigation matters in state courts and federal to enforce the rights of secured creditors. Because Ellen concentrates her practice in Kentucky, she is well known throughout the Kentucky bankruptcy bar. Among other positions, she has served as chair of the Bankruptcy Section of the Kentucky Bar Association twice (2008, 2010), and is frequently asked to lecture on bankruptcy practice throughout the state. Ellen was selected to serve two rotations on the Local Bankruptcy Rules Committee for the Eastern District of Kentucky. This service included a series of work sessions with the Western District Committee and court to unify bankruptcy practice rules throughout the state.